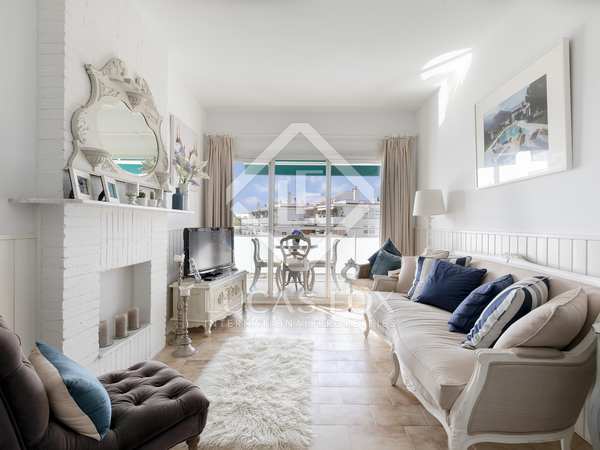 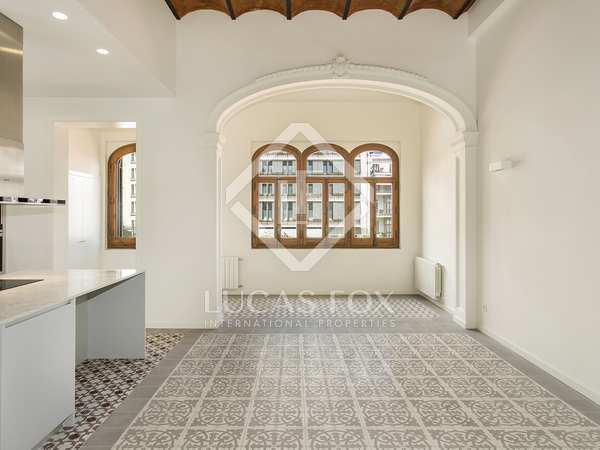 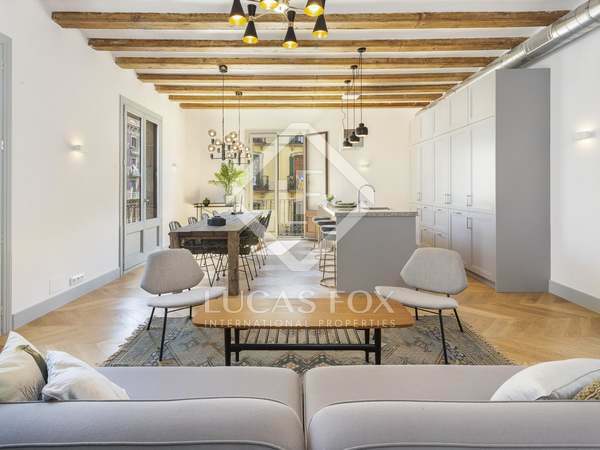 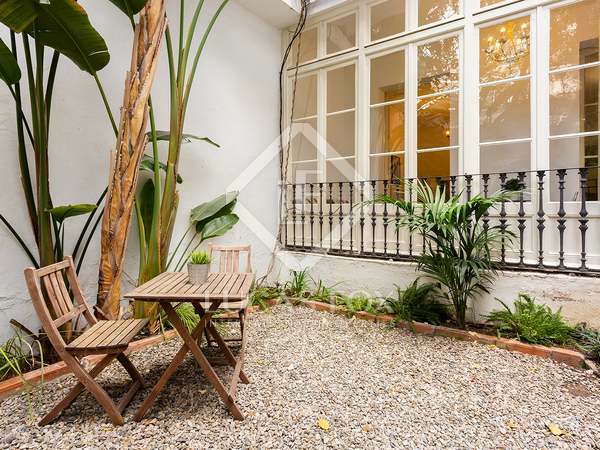 Fantastic 2-bedroom apartment renovated with period features and balconies in Poble Sec. 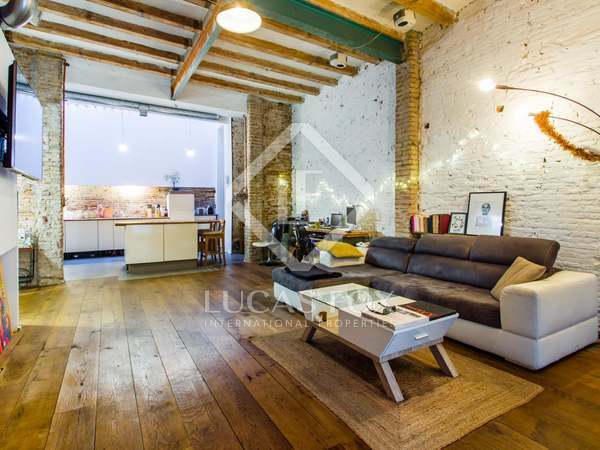 Fabulous, spacious apartment with period features combined with modern finishes, 3 double bedrooms, 2 bathrooms and a generous private terrace. 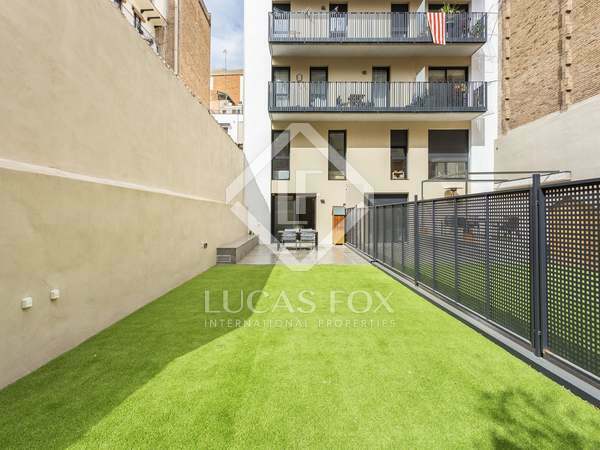 All this is a prime city centre location. 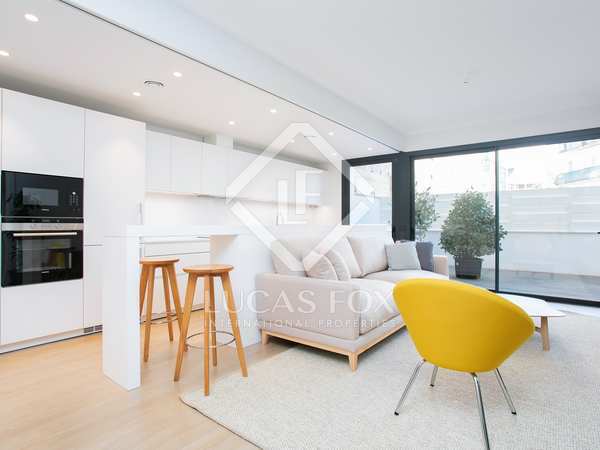 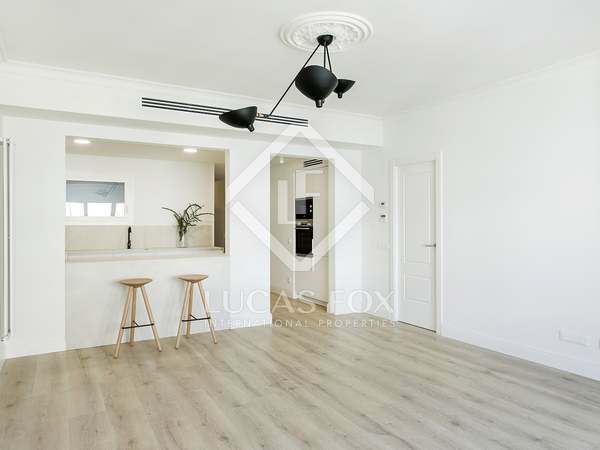 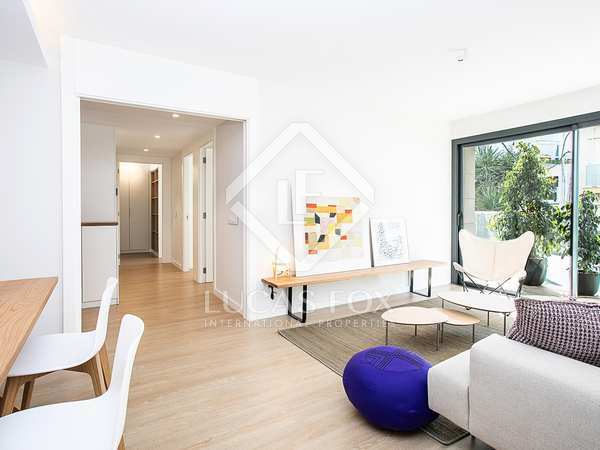 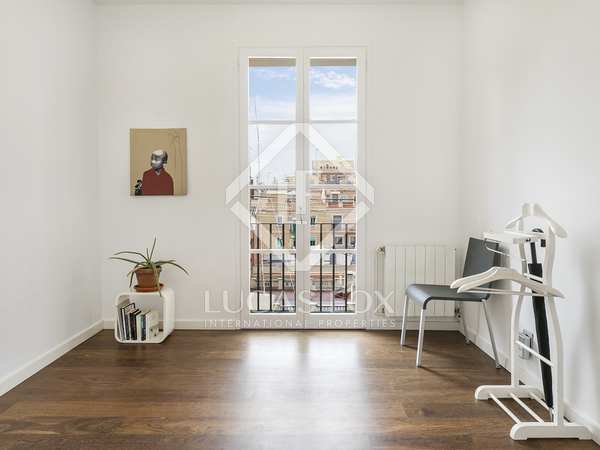 Elegant newly renovated apartment in a modernist building, for sale in Eixample Right, Barcelona. 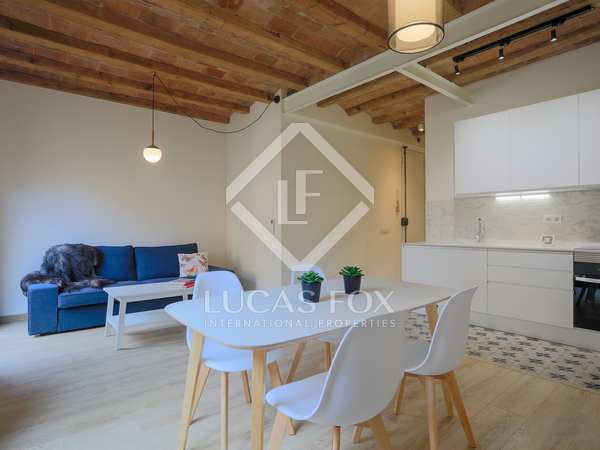 Penthouse apartment with charming original features and a 71m² terrace, for sale in Poble Sec, Barcelona. 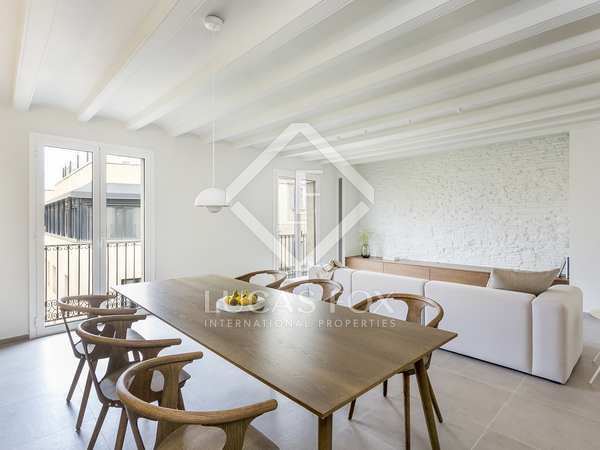 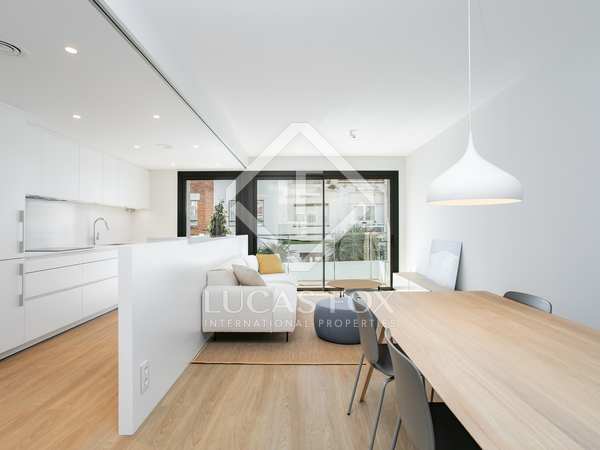 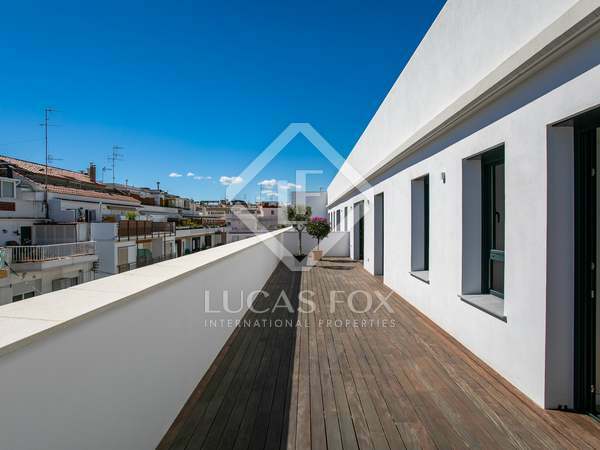 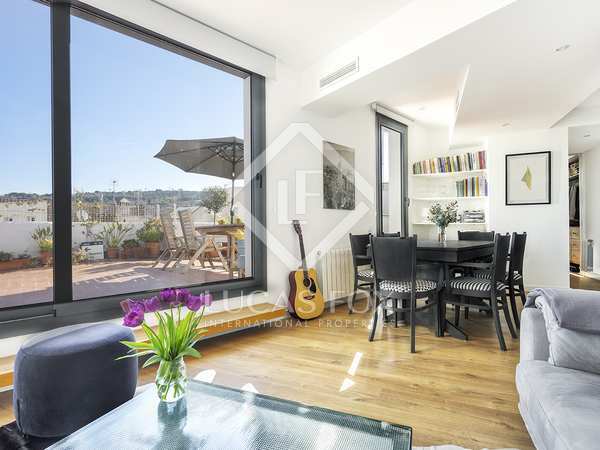 Modern, fully renovated penthouse with large terraces and stunning city views, for sale in Poble Sec, Barcelona. 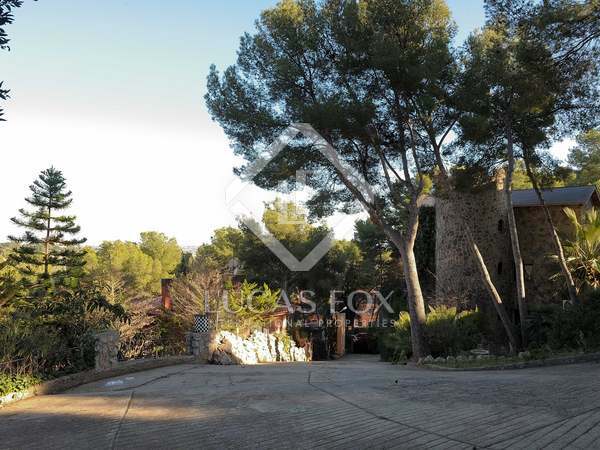 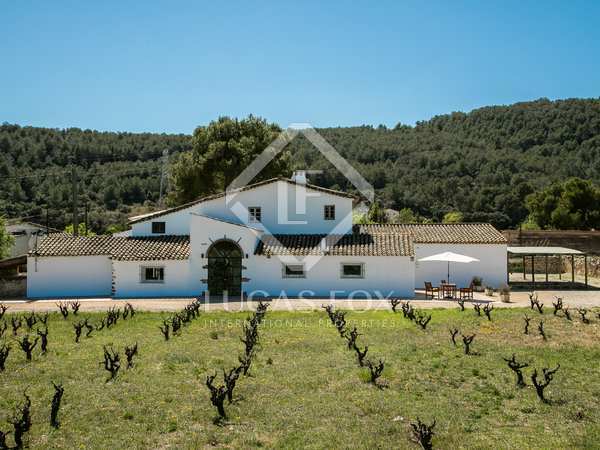 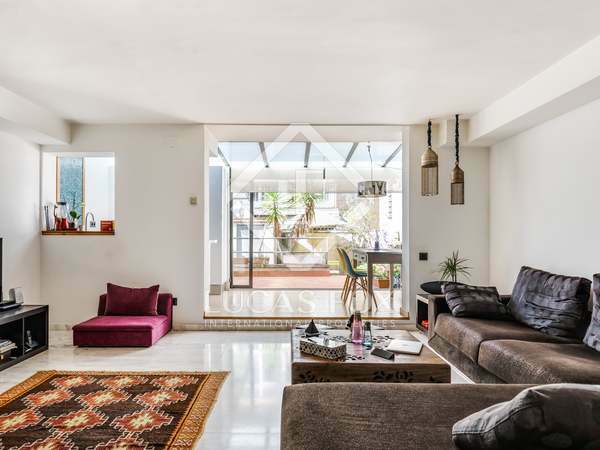 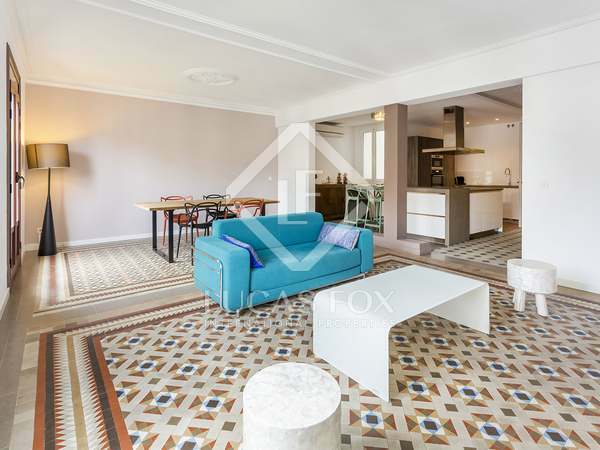 3-bedroom ground floor apartment with modernist features, private garden and tourist license for sale in the centre of Barcelona. 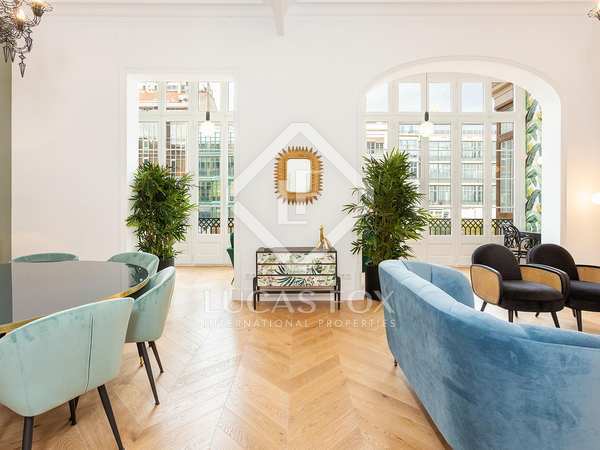 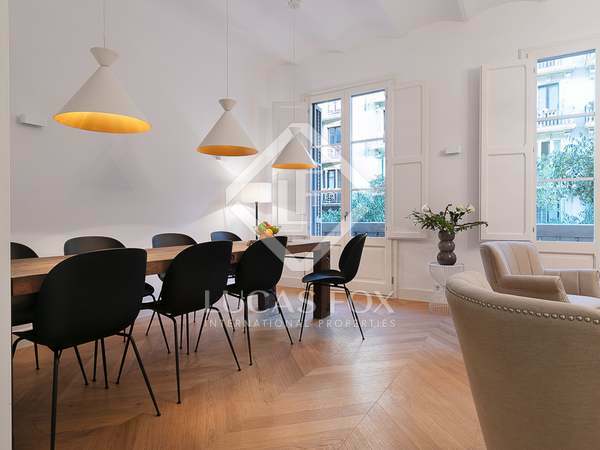 Modernist apartment renovated to the highest standard, for sale on Rambla de Catalunya, one of Barcelona's best-known streets.